I can create a metallic, 3-D look to my Barb Wire stripe designs. 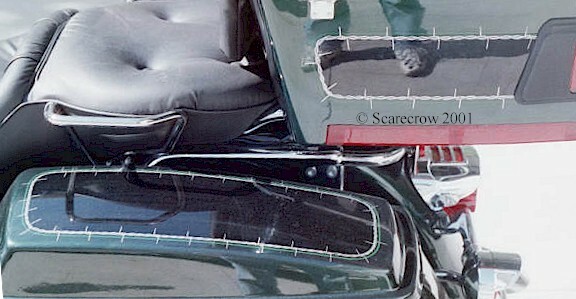 This Barb Wire Stripe replaces the factory stripe on a Harley dresser. 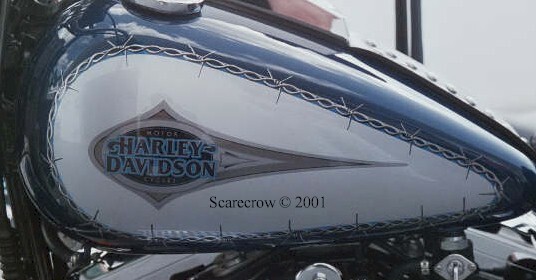 Note the Barb Wire Bar & Shield on the fairing. factory stripes on this Heritage Softail. 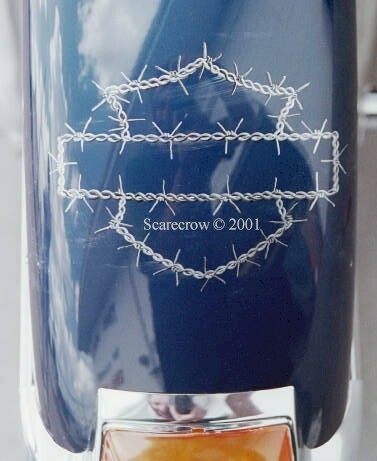 There is a Barb Wire Bar & Shield on the front fender. 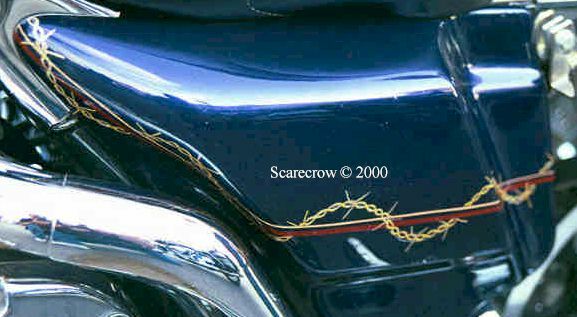 Click Here to see a Barb Wire Stripe on a black Heritage Softail. 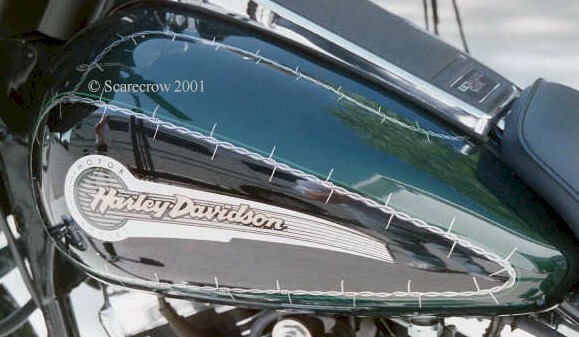 This is a Barb Wire Weave around the factory stripe on a Road King. 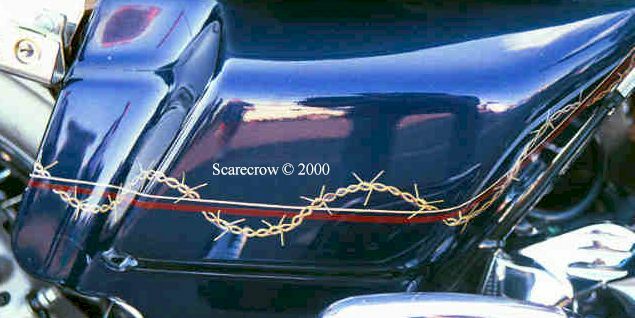 This is a gold Barb Wire stripe woven around the stock factory pinstripes. 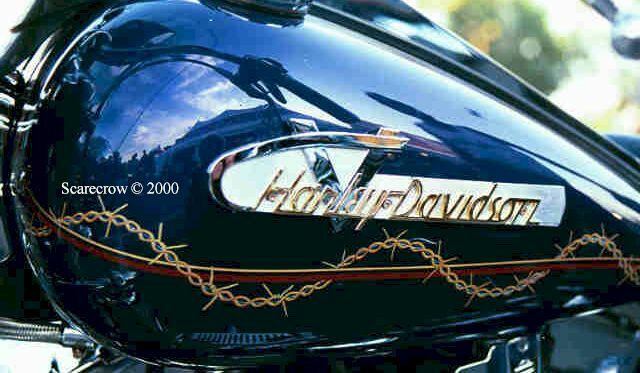 Click Here to see a Barb Wire Stripe on a Fat Boy. 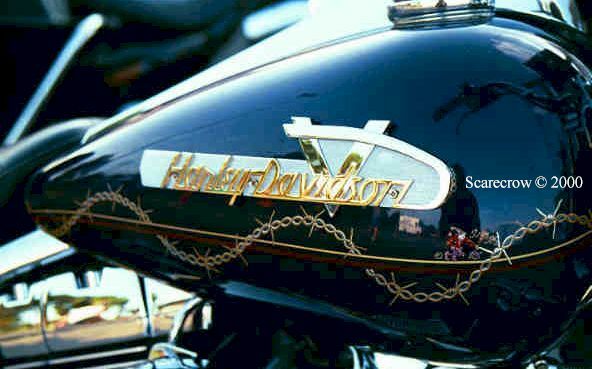 Click Here to see a Chain Stripe on a Fat Boy..
Click Here to see a Feather Stripe on a Road King. 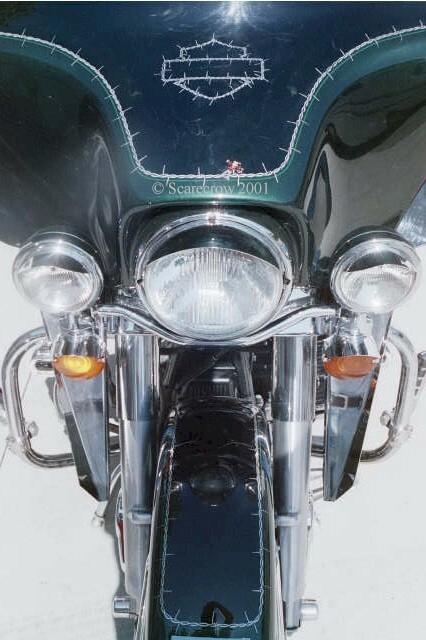 Click Here to see a Flame Stripe on a Road Glide.